"Growing up in West Virginia I was exposed to music of all kinds. When my dad put me up on the table to sing "Don't Roll Those Bloodshot Eyes At Me" at 2 yrs old it must have been the defining moment." MaryLu sang and traveled in bands from age 14 on. In Charleston, WV there was a good music scene, and in 1965 her first real band was a 5- piece, all girl British music band called The Paperdolls. In '67 she started singing with a 10-piece R&B/soul band called The Trolls, also making guest appearances with The Esquires, and in '68 she went on the road with a 7-piece psychadelic/rock'n roll band called The Seven Seas, traveling the east coast from Boston to Miami. "I just barely made it back to get my high school diploma." After graduation in 1969 she moved to NC and worked with a few different acts, the most notable of which was The Okaysions, a 6-piece beach music band whose song "I'm A Girl Watcher" became a #1 hit in 3 countries. "We worked the Carolinas, Virginia and Georgia, opening for many acts at festivals and clubs. It was a blast!" In '72 MaryLu got the opportunity to tour with a Christian contemporary band that was originally formed on the west coast during the Jesus movement. Consisting of seven pieces, The Bridge made 3 albums of original music and traveled for almost 12 years in nearly every state in the U.S., as well as seven other countries. "It was a great experience, one that changed my life and outlook on the world and the music business." During that time she also worked with a studio in Greensboro, NC, writing and recording radio jingles (working in the studio, recording and producing, is still one of her favorite things to do). 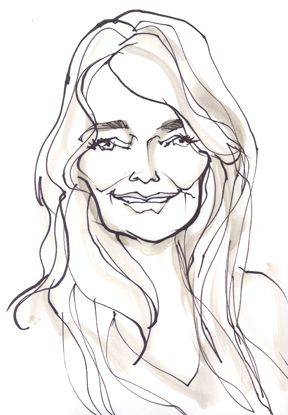 In '93 she auditioned for a country music band. "In my whole career up to that time I had NOT done country music even though my father had told me over and over - "There's gold in them hills!" - I was not about to get into country music. Now I am sure my dad is laughing at me from somewhere in another realm for waiting so long to find what country music has to offer. I love it! In the process of joining Timberwolf, a 5-7 piece rockin' country band, I also met the man to whom I am now married and we have had 24 years playing music together. In 1998 we worked for 6 months on Carnival Cruise Lines, bringing country music to the high seas, then in 2000 started working as a variety duo under the name Sundown. We worked summers in Myrtle Beach, SC and winters on the gulf coast of FL. At present our duo act is still going strong, and I am thrilled to report that I am involved in a venture with my husband Alex Kinlaw and a group of wonderfully talented guys called Yesterdayze. 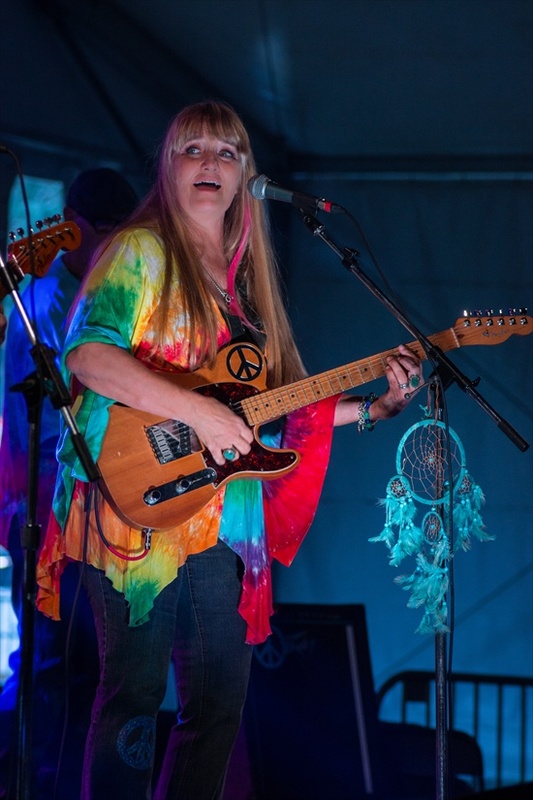 We are bringing back the '60's music from the Woodstock era, including all the wonderful R&B, Soul, Rock, British Invasion, and so many other genres that made the '60's so great. This has been one of the most enjoyable music ventures I have had the pleasure of being involved with, and from here the story continues........"
Alex comes to the band from the musical kaleidoscope of the Carolinas. With an accomplished pianist for a mom, he began "playing" as soon as he could reach the keys, but trumpet soon became his instrument of choice. Singing was his first love, however, and as a teenager he toured the Southeast with a Southern Gospel Quartet called The Lordsmen, sharing the stage with famous groups like The Oak Ridge Boys, The Thrasher Brothers, The Florida Boys and The Inspirations. He continued with trumpet, playing in various bands and ensembles until musicianship collided with athletics, and a bad-hop ground ball to the mouth redirected him to the piano once again. In 1988 Alex founded Timberwolf, a six-piece smokin' top-40 country band in Greensboro, NC , which has opened for such artists as George Strait, Dixie Chicks, Keith Urban, Kenny Chesney and Montgomery Gentry (check out Timberwolf at www.timberwolfsundownprod.com). It was through Timberwolf that he met MaryLu, when she auditioned as a female vocalist for the band in 1993. "I remember saying to the drummer, 'Man, I hope she can sing'..." The rest is history, as they say, and they've been together ever since. They own and operate Sundown Productions, which promotes and manages several acts, including Timberwolf, their variety band Sundown, and their own individual performances as solo artists. Alex also owns and operates Yesterdayze, LLC, which manages and promotes "Yesterdayze-The Ultimate 60's Experience" and "Sundown - Modern Classic Country". Working extensively in the Myrtle Beach, SC market, where he spent (or misspent) a great many of his formative years, has given Alex the opportunity to meet, work with, and appreciate the top notch talents that flourish there. Practically any and every kind of music can be found there in season, with an emphasis on the "beach music groove" that gave birth to "the Shag", and Timberwolf and Sundown have been fortunate enough to work with great performers like Chubby Checker, Bill Pinkney and The Drifters, The Tams, Maurice Williams and The Zodiacs, The Embers, The Fantastic Shakers and Percy Sledge. After working a stint for Carnival Cruise Lines, Alex and MaryLu relocated full-time to SW Florida in 1999. Yesterdayze, founded by the Kinlaws in 2007 (although their concept for the band, along with the name, dates back to 1994), is one of their favorite projects. Alex says, "I love this music like no other...it changed the world, at least for me. It's still playing everywhere today- commercials, radio, etc. But no bands that I'm aware of are committed to the music of that decade like Yesterdayze; embracing the sheer volume of that material and doing it justice is a great challenge and a great joy!" Multitasking instrumentalist. Vintage expert. Gearhead guru. He has been called this, and worse. Originally from Smyrna, Delaware, Johnny relocated to Nashville in the late 70's, and then to Florida, where he now makes his fulltime home. He began performing professionally at age 13, playing with his band, The Reactions. His move to Nashville was prompted by an offer to join the band of J. D. Sumner and the Stamps Quartet, in the immediate aftermath of the death of Elvis Presley. He later went on to work as lead guitarist for super Elvis sound-alike, Brent Howell and the Cadillacs. Johnny is the former band leader for Tommy Mara and the Crests; during his tenure with Tommy, Johnny worked with and backed up many of his musical heroes from the 50's and 60's, including Gene Chandler, Jay & The Americans, The Tokens, The Association, Felix Cavaliere's Rascals, Kenny Vance & The Planetones, Bill Haley's Comets, and many more. He also put together a project with founding members Billy Jones and Monte Yoho of The Outlaws. Called Jones and Company; this group had a major "big band" sound that Johnny helped to develop with his beloved Roland GR-33...he loves putting keyboard players out of work. Umm...wait a minute...what?? In his own words, Johnny says, "As a little kid from Delaware growing up with my ear glued to the transistor radio, I would never have believed what could happen...influences and diversity are the strength of any credible musician and musical group." He brings that diversity, a unique blend of styles and textures, to the music of Yesterdayze. Johnny is crazy about a particular brunette, hot-rod Lincolns, rocking the blues with his own band, Rent Money, and now, sharing the stage with Yesterdayze. 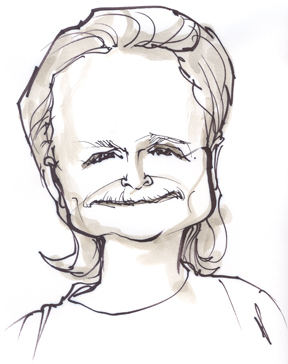 Don originally hails from the mountains of Virginia, where he picked up his first guitar at the age of 14. Raised in an area rich with music, he grew up listening to the country bluegrass sounds of Reno & Smiley, Flatt & Scruggs, Arthur Smith and others. But it was the influence of the British Invasion, including such bands as The Beatles, The Kinks and The Animals, that fueled his early playing. Within a few years, the radio broadcasts of WLAC in Nashville began to color Don’s musical stylings with the emerging R & B and Soul sounds of Booker T & the MG’s, Chuck Berry, Sam & Dave, Otis Redding, BB King, and Muddy Waters. By the age of 16, he had exchanged his six string guitar for a bass. During his years in Virginia, he played with numerous bands touring throughout southwest Virginia, Georgia and Tennessee. His bands opened for some of the legendary early groups from that area, including Stillwater Mel McDaniel and others. 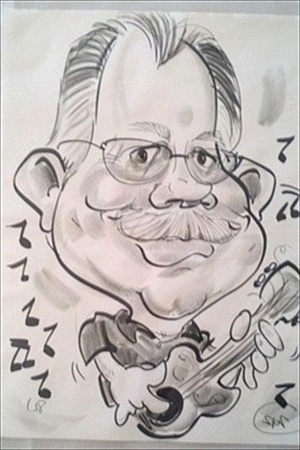 Don relocated to Florida in late 1979 and discovered the rich Tampa Bay music scene. 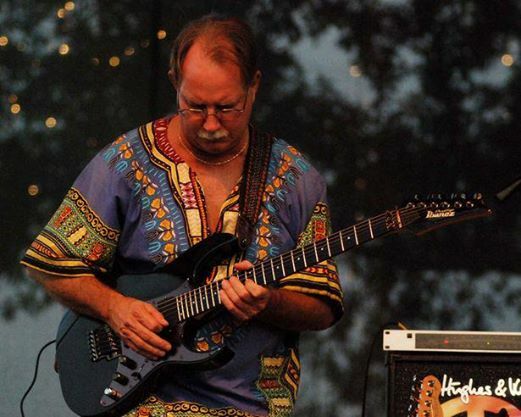 As he continued to develop his playing in a wide range of genres, Don played the blues scene with many well known St. Pete artists including Rock Bottom, Little Juke, Deacon Fuller, Damon Fowler, Sandy Atkinson, Ed Wright, Walker Smith, St. Pete Blues Allstars, Rick Hatfield, and Jimmy Griswold. While with Charlie Bailey and the Commentators, he played Jannus Landing with musical legends the Guess Who. 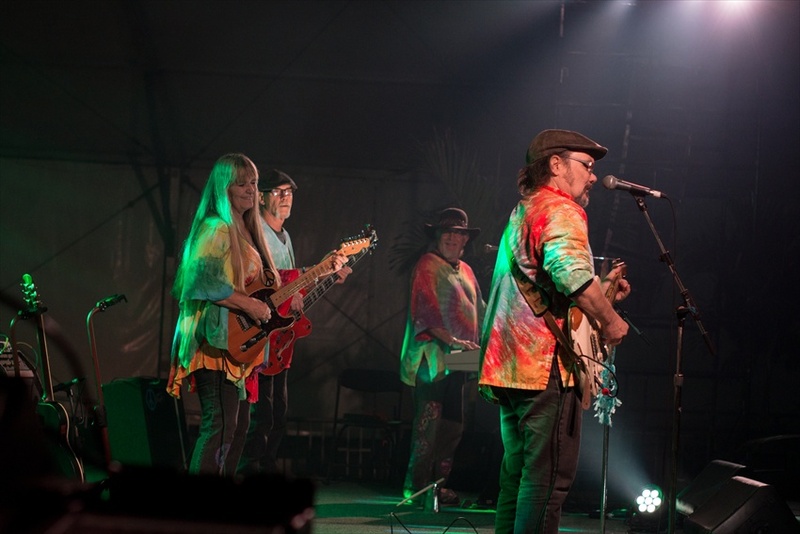 Through the years, Don has enjoyed playing regional music festivals Riverhawk & String Break with Bugtussle (gypsy swing); Everglades Bluegrass Festival and Auburndale Bluegrass Festival with Blue Cypress; Suwannee Springfest and Curlyfest with the Free Range Roosters. These days, you can find Don playing the Tampa Bay area with The Only Daddys, Karyn and the Uprights, and The Juke Joint Kings. And, every Wednesday, he joins host Johnny Dreamwell for the Brady’s BBQ Jam. Don is enjoying being a part of the lineup of great musicians in Yesterdayze. 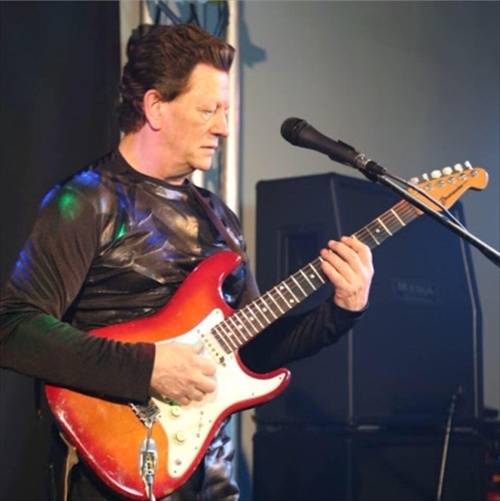 As a teenager of the 60's in Southeast Ohio, Bobby was heavily influenced by the sounds of the British Invasion, Motown and, later on in that great music decade, Led Zepplin, Cream and Jimi Hendrix. The 70's found him touring with Columbia recording artist Thelma Jones ("Salty Tears"). While with Thelma he toured with and backed up such artists as Bill Pinkney's Drifters, featuring future Temptations lead singer Ollie Woodson, The Clovers ("Love Potion #9") and many others. 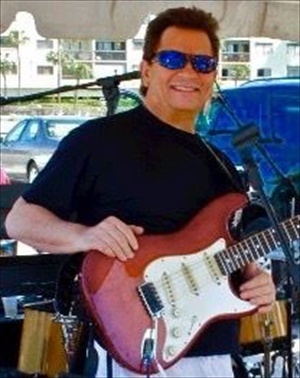 Bobby also played in many well known bands in the Tampa Bay area. In the late 80's he was the touring drummer with Dr. Hook, featuring Ray Sawyer ("Silvia's Mother", "Cover Of The Rolling Stone"). He then decided to take to the high seas as leader of a four piece show band with Royal Caribbean Cruise Lines. He was part of the Royal Caribbean family for 10 years, and got to travel and perform in such places as England, Sweden, Russia, & Holland as well as the Caribbean Islands, Bermuda and Hawaii. It was while with R.C.C.L. that he met his wife Mandi. They currently reside in the Tampa Bay area, where he recently played for a short time with Yesterdayze. As the song lyric says,"What a long strange trip it's been". And he wouldn't trade it for anything. Welcome back, Bobby! Joel was raised in Wisconsin, and studied music at Viterbo College in La Crosse, and at Berklee School of Music in Boston , Massachusetts. He studied privately with pianist Joe Azarello of San Diego, CA and also with renowned Tonight Show arranger and educator Hal Crook. Joel spent years as a traveling musician, covering the US, Canada, Asia and Europe. 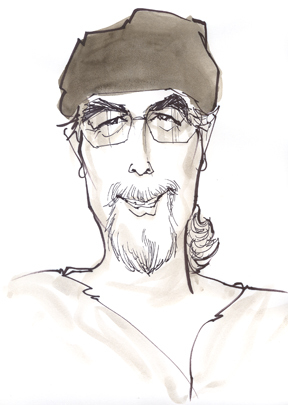 Setting down roots, Joel spent 16 years in San Diego, followed by 19 in Milwaukee , where he was the musical director for the Tom Anthony Band. 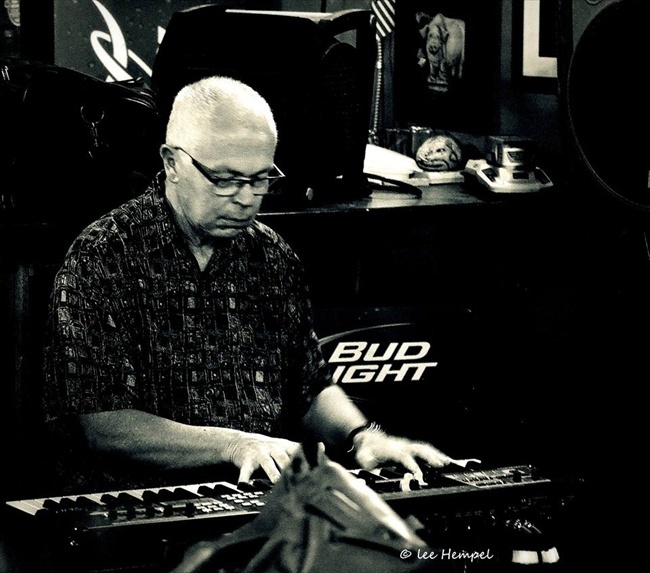 Joel has extensive experience in rock, jazz, country, blues, Broadway, and popular dance music. In 2013 Joel relocated to the beautiful Tampa Bay area and is loving it! He now shares his many talents with Yesterdayze! Professional Musician. Contract utility guitarist . Reading session musician. Pro audio engineer. Worldwide touring experience. MUSICIAN UPDATE …. In our ongoing saga of unsung guitar heroes, not to be overlooked is one of the most versatile players to have lasted for four decades in an often unforgiving business. Hailing from Mobile, Alabama, Jay Jernigan began his journey in 1969 at the age of 12 when he lobbied his parents relentlessly for a $24 Sears box guitar. Like most guitarists he learned by ear and was soon entrenched in all facets of the then-blossoming folk music movement in Southern churches. An avid rocker long before then, it took no time to make the next very “obvious” leap to an electric guitar. In what was supposed to be an impossible bet, his father remarked after watching Mason Williams perform “Classical Gas” on the Ed Sullivan Show: “When you can play that song, we’ll buy you an electric guitar.” With a fervent desire to join the Woodstock generation, following two months of “wood-shedding” and a successful recital of that song, Jernigan found himself with electric ax firmly in hand. Louder-higher-faster: he never looked back. By age 16 he was performing professionally in bar bands, while involving himself in high school music programs. He was a top-notch symphony and drumline percussionist, skills that would later pay off in spades. Known on the Gulf Coast as the premier “guitar gunslinger” he was sought after by the many then-burgeoning “southern rock” bands. At 18 he received a full scholarship to the College of Fine Arts at Southern Miss. where he immersed himself in drum-line, music education and jazz lab guitar programs. 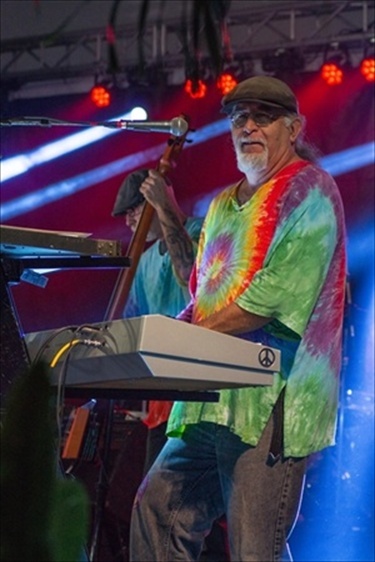 Awarded an Associates degree in music, he headed back out onto the road as a touring utility musician, working in special event show groups on the Florida panhandle. Audiences were thrilled with his deadly accurate renditions of Hendrix, Van Halen and Skynyrd: a fan base followed. Over the next 20 years he diversified into all aspects of guitar and music production. In the 80’s he was a pioneer in new standards of guitar amplification rack systems and tone modules. He was one of the prototype guitarists for MESA Engineering’s Simul-class model. 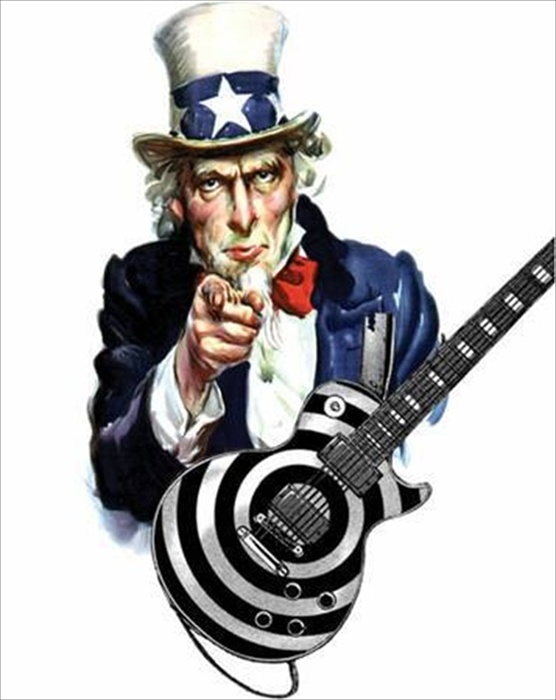 He has been an active endorser for EMG pick-ups, MESA Boogie Amplification systems and numerous smaller design companies. His guitars have included Gibson, Yamaha, B.C. Rich, ESP, Valley Arts, Martin, Brian Moore and Paul Reed Smith: all custom-modified to his design standards. He also branched out to become an accomplished and awarded audio technician and designer in both the recording studio and live sound-reinforcement career fields. He has produced and engineered a number of outstanding recordings, done several studio installations and remains a staunch advocate of critical listening technology. 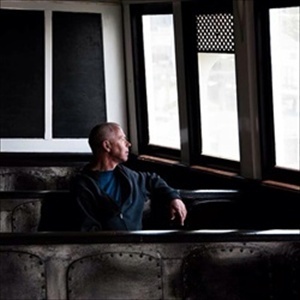 Jernigan’s client roster is a veritable “who’s-who” of adult contemporary artists. A protégée of such luminaries as Steve Lukather (Toto) and Steve Morse (Dixie Dregs), his versatility in performing genres has proven to be an attractive strong point when working as utility sideman. He has shared the stage with Rita Coolidge, Billy Ocean, Chaka Khan, Lee Greenwood, Roy Clark, Loretta Lynn, Marilyn McCoo & Billy Davis Jr., and Little Anthony & the Imperials. 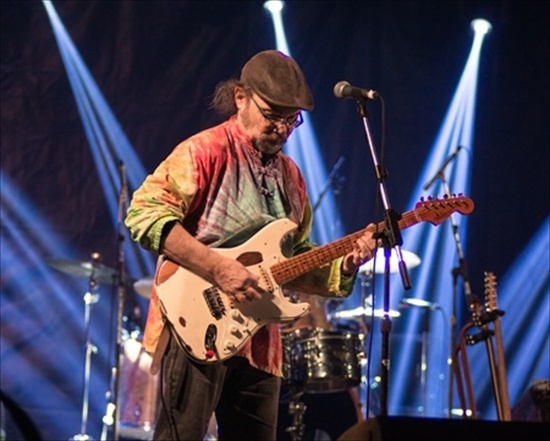 Stylistically he is equally at home performing country, rock, jazz and instrumental fusion. For over two decades he has worked as a performer, consultant and director of entertainment programs for the U.S. Air Force, performing throughout the United States and in 21 countries worldwide. Currently in semi-retirement, he resides on the East Coast and remains available for contract. Originally from Wayne, NJ, Paul is a Berklee College of Music and University of South Florida Music Department alumni. His decades-long musical resume literally spans the globe, and is as varied as it is impressive. As an accomplished sight reader, Paul has played electric, acoustic, and synth guitar, ukulele, mandolin, and banjo for many national touring productions, including: Hello Dolly, Godspell, Hairspray, Annie, Elvira, Jesus Christ Superstar, Bonnie and Clyde, Grease, Tribute to Al Jolson, 42nd Street, Throughly Modern Milly, Aida, & Chicago. 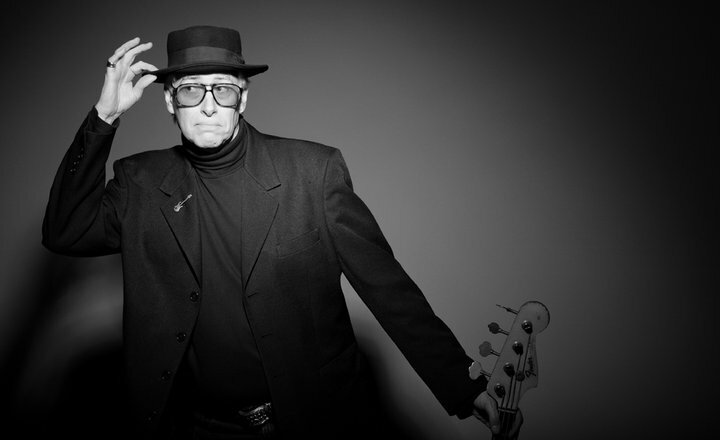 Paul has also performed in numerous other professional orchestra settings, backing such artists as: Eartha Kitt, Bette Midler, Bernadette Peters, Tommy Tune, Michael Amante, Connie Francis, The 5th Dimension, Peter Cetera, Ferrante and Teicher, David Clayton Thomas, Marvin Hamlisch, Jim Stafford, Vic Damone, Danny Thomas, Micheal Feinstein, Roger Williams, Doc Severinsen, Rich Little, Henry Cuesta, Jo Ann Castle, & Bobby Vinton. He continues to be an "in-demand" lead guitarist, and has worked with several bands supporting the following acts: The Drifters w/Bill Pinckney, The Platters w/Herb Reed, Little Anthony, The Cadillacs, & The Marvelettes. Jazz is another area of expertise for Paul. 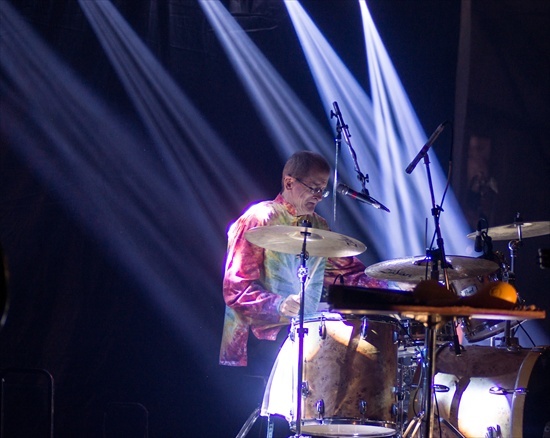 His past and present experience in the Florida jazz scene include performances with Doc Severinsen, Kenny Drew Jr, Paul Howard, the Reinhardt Brothers, Allon Sams, the Airtight Fusion Band, Randy Brecker, Chuck Owens' USF Big Band, Craig Turley Orchestra, the band Flightpath, Warren Hill, and Neil Larson. In perhaps his most high-profile gig to date, Paul has performed and toured internationally with Sony Recording Artist Bertie Higgins (of Key Largo Fame). With Bertie, Paul has played shows in Biloxi, MS; Branson, MO; Las Vegas, NV; San Diego, CA & Seven Springs, PA. Their casino schedule has included shows in Connecticut, Utah, Nevada, & Wisconsin, and they have performed for sold-out audiences in Hong Kong, Malaysia, Singapore & China. Since moving to Florida in the late 1980's, Paul has been performing with various groups and orchestras. He is currently an adjunct Guitar Instructor at St Paul’s Independent School in Clearwater, FL, and is performing and/or touring with: Expressions Variety Duo, Yesterdayze - Ultimate 60's Experience, Sundown - Modern Classic Country, Unique Full Circle Band (Top 40 Soul - "new school"), Bickley Rivera Steelpan Chill (Reggae, Soca, Calypso, World Jazz), Alan Darcy (Smooth Jazz), and The Group Next Door (Jazz/ Latin/Fusion). 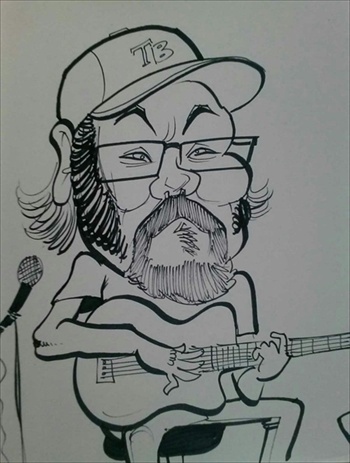 Paul also performs as a solo acoustic/vocal act; as a duo/trio with percussionist Ignacio Marin; as a duo/trio with keyboardist/vocalist Laura Lee, and as a trio with Sundown (Variety/Dance/Easy Listening). 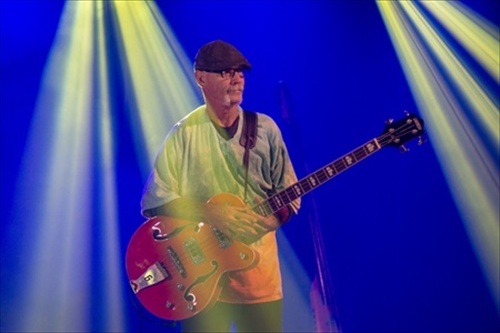 During his multifaceted career, Jeff "Stick" Davis has seen the world and played with and visited his share of legends, musical and otherwise. 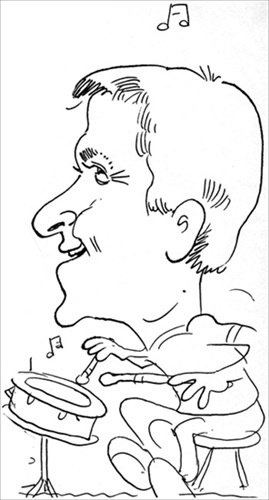 Once he saw the Beatles on the Ed Sullivan Show in 1964, Davis knew he wanted to become a musician. "They had long hair and there were screaming girls," he said. "My education was over. That was me. That was it." Davis has toured all over the United States, Europe, Australia, New Zealand and beyond. 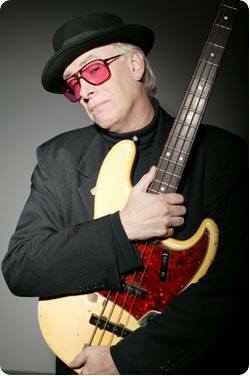 He's played bass in B.B. King's band, and performed or recorded with several other famous artists, including Little Richard, Al Green, Bo Diddley, Bob Dylan, The Classics IV and Tanya Tucker. "Stick" was also a founding member of The Amazing Rhythm Aces. Grammy nominated in 1975 for Best New Group, the Aces were probably best known for their country-pop crossover hit, "Third Rate Romance." The following year they won the 1976 Grammy for Best Country Vocal Group for the song "The End Is Not in Sight (The Cowboy Tune). Davis toured with the band from 1972-1981, then again from 1995-2005. During one tour in New Zealand, he visited the set of "Xena: Warrior Princess" and even had a cameo role as an extra in one episode of the series. As a member of ARA, he also got to know Hunter S. Thompson, and spent some time at Thompson's ranch in Woody Creek, Colo. Jeff recalls, "He was an amazing man and a true fan of the Amazing Rhythm Aces. He was responsible for our appearance on 'Saturday Night Live.' They were filming the movie 'Where the Buffalo Roam' with Bill Murray, and one thing led to another. He was larger than life." B.B. King was arguably the highest-profile musician Davis has played with. "He was truly a gentleman, one of the finest artists I ever worked with," Davis said. "I had kind of been working the R&B side in Memphis. I had lived there a long time. After the demise of the Amazing Rhythm Aces, R&B came natural. He came into a club I was playing in Memphis and sat in with the band (in the early 1980s). I got a call a week or so later and somebody who was part of his group said, 'Do you want to go out and do dates?' He was the Beatles of the blues. When you get the call, you go." After his second stint with Amazing Rhythm Aces, "Stick" played with Burrito DeLuxe, an offshoot of the Flying Burrito Brothers. He toured with Burrito from 2006-2009, recording two albums along the way. During that same time frame, in 2007 he received a call to join Pure Prairie League while the bass player was on leave, and wound up working a couple of seasons with them as well. 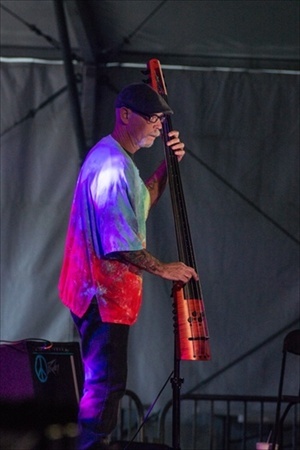 Looking for a change of scenery, Jeff relocated to the west coast of Florida in 2014, and has been working with the iconic Backtrack Blues Band out of Tampa. He is a top on-call utility sideman for many bands all over the Tampa Bay area, and now brings his incredible blend of talent and experience to Yesterdayze and Sundown - Modern Classic Country. Welcome, "Stick"...we are fortunate to have you! Mike comes to Florida from Michigan, where he studied percussion at Morehead State University and Michigan State University. After school Mike spent several years on the road with one of the Midwest's premier rock bands, Innervision. 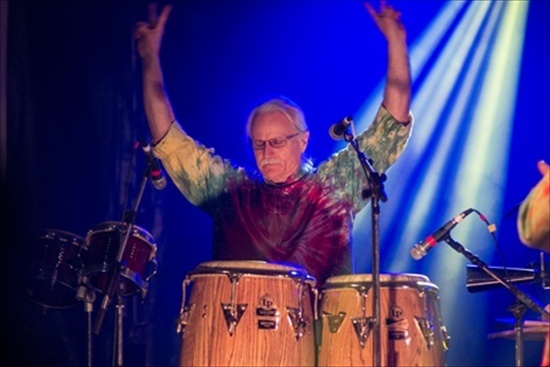 The group opened for many national touring acts; retiring from "the road" brought him back to his true love, the study of percussion. As principal percussionist for West Shore Community College, Mike was instructor, arranger, composer and director of the percussion section and ensemble; he was also principal timpanist for the West Shore Symphony for many years, and has performed throughout Michigan with various concert bands. Today, he continues to study the art of percussion, playing with a smorgasbord of talented artists on the Gulf coast of Florida. Yesterdayze has allowed Mike to bring together and put into practice his experience and knowledge. He says, "I am very excited to be working with such a talented and energetic group of musicians. Anyone who grew up with or just loves the music of the 60's will love this band!"